Your driveway is one of the first things people see upon arriving at your home. With this in mind, it’s essential that you research and think carefully about what you want your driveway to look like. There are lots of different ways to create a driveway that is not only aesthetically pleasing but also practical. In this week’s blog, we share our top driveway design tips. The first thing you should consider when designing a driveway is the functionality of it. Some initial questions to ask are: how many people will be using the driveway each day? How many drivers or soon-to-be-drivers are there in my household? 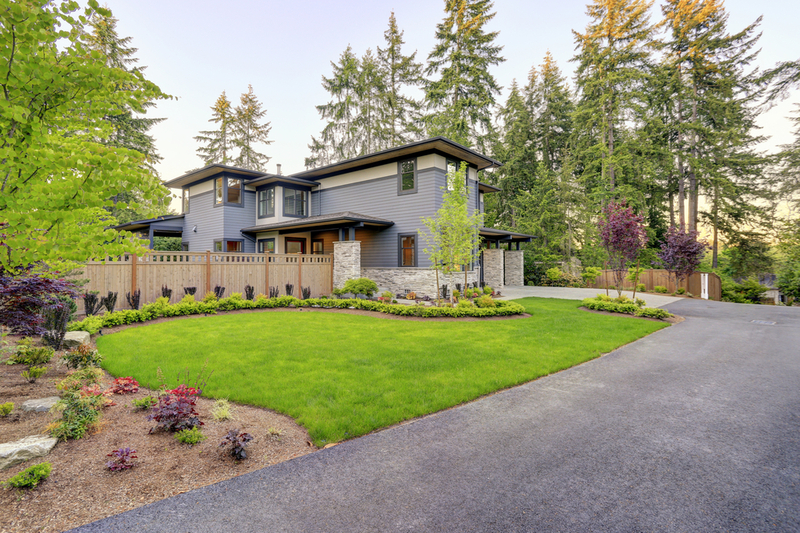 It’s important that your driveway design meets these practical requirements. In additional to functionality, it’s essential that you consider vehicle dynamics when designing your driveway. Keep in mind the dynamics of cars – how they move by themselves and in relation to others. For example, cars can’t turn at a right angle, so make sure the curves of your driveway are designed to accommodate that fact. Make sure you also consider the length of vehicles in relation to the length of your driveway. The key is to ensure that you design the right amount of driveway for your specific household. Also remember that vehicle sizes are constantly changing; smaller, more economical vehicles are being created and larger vehicles are also being designed to suit growing families. A common thing that is neglected in the driveway design is guest parking. So, don’t make this mistake by ensuring that you include guest parking in your driveway design. Be sure to allow lots of parking space while maintaining a well-shaped landscape. Remember that too much impermeable surface can cause environmental problems, so think of using other materials instead of traditional asphalt. At A Better Driveway, we offer flexible, durable and affordable driveway solutions. From exposed aggregate driveways to coloured and textured concrete driveways, A Better Driveway will deliver a high-quality result. To learn more, contact one of our friendly staff members at (03) 9308 6112.